Photo provided by Denis Pickles. Muriel Lowe, Audrey McWhinney, Rita Lund, Eleanor Buck. 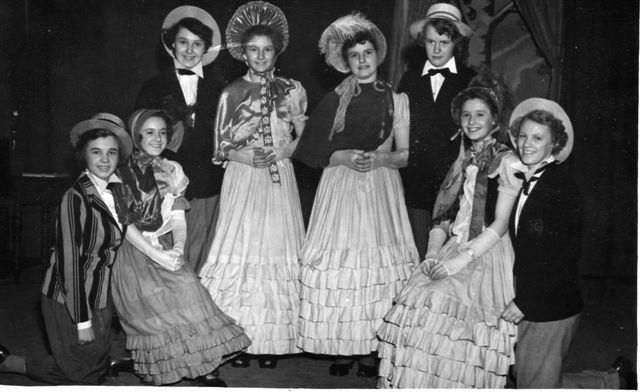 The show was staged in the large room at the Sunday School by members.